Very excited to add this large son of the legendary GNLC Merlin. Switchfoot arrived shortly after our visit to Steve and Sue Rolfing for American Llama Magazine. We came home looking to add some size and athleticism to our herd, and it just felt meant to be when we stumbled on this Merlin son. 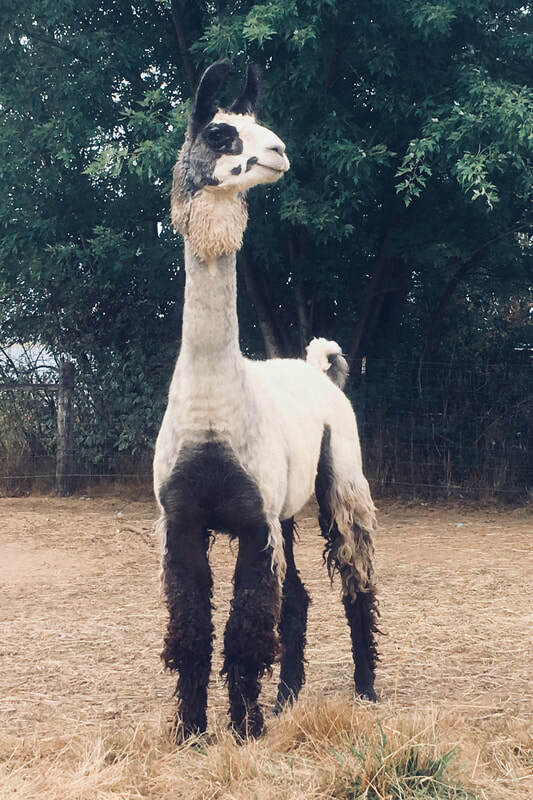 Switchfoot began his breeding career in the Ollendick's successful llama program. He produced several outstanding crias for them including Ollendick Farms Switching Gears. Switching Gears had a very successful show career and now has done an excellent job in the breeding pen himself. We are looking forward to seeing what Switchfoot can produce for us beginning in 2019.